Great Helper - no more problems with safety caps! 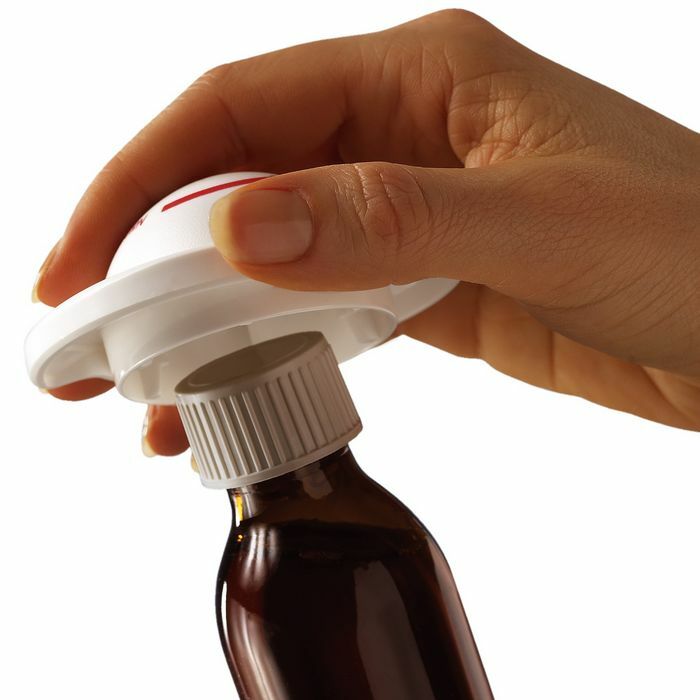 Practical and patented opener for various bottles with safety caps, like cleaning liquids and pill bottles (Keep out of reach of children!). Also ideal for opening soft-drink bottles with plastic screw lids. So handy that anyone can use it! Simply push down and turn! The MultiGrip is a practical and efficient helper, especially for the elderly and people that lack strength in their hands. 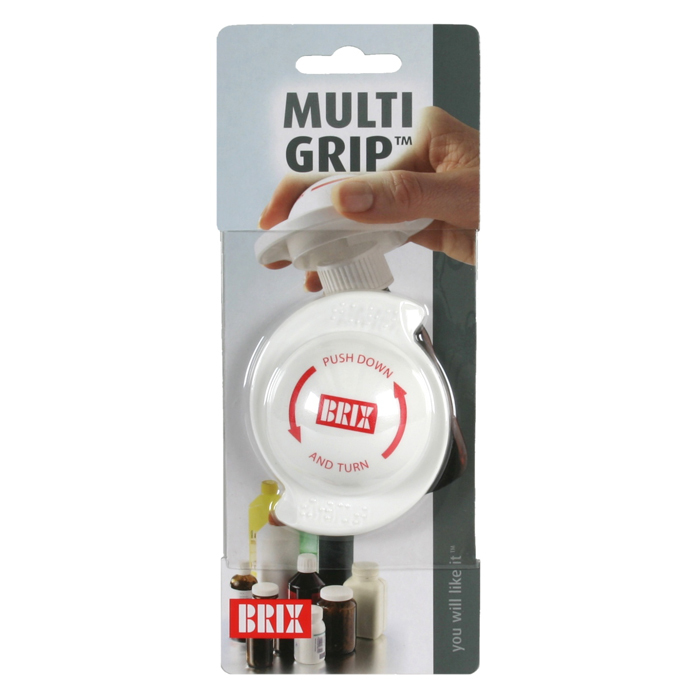 Place the MultiGrip over the safety cap and with a joint pressure and turning movement, the cap is easily unscrewed. Thanks to the "wings" on the MultiGrip the opening of a safety cap is now easy. Fits most sizes of lids.